Hello Thrivers. Today I want to focus on just one issue as an example of the amazing self-generated work people are doing all over the world — and the issue I want to focus on for this episode of Good News Tuesday is Genetically Modified Organisms — GMOs. In May of this year, activists burned a thousand acres of covert GMO fields in Hungary, making clear that they mean it about banning genetic modification from their food supply. In June in the state of Oregon — where Monsanto’s negligence with an abandoned GMO wheat field has infested neighboring fields and threatened wheat exports from the entire state — 6,000 GMO sugar beet plants in two separate Syngenta fields were uprooted by activists. It’s ironic that Syngenta is a Swiss company and GMO sugar beets are not even allowed in their own home country! In the US, there are already 26 states challenging GMOs by insisting on labeling laws. Connecticut was the first state to pass such a law. On July 24, 2013 the Monsanto Video Revolt was launched by Anthony Gucciardi of the Natural Society, Edward Group of the Global Healing Center, and Mike Adams of Natural News, with thousands of user videos being uploaded to YouTube and other video sites. So let’s move on to India, where there have been hundreds of thousands of suicides by farmers struggling with failing crops and having to pay massive royalties for seeds that no longer reproduce. The Good News? In June, 5 million farmers filed suit against Monsanto for $7.7 billion. India is not only now refusing Monsanto’s patent applications, but is also charging Monsanto with “Conspiracy” for trying to “patent life” and for charging exorbitant fees that throw farmers into insurmountable debt. 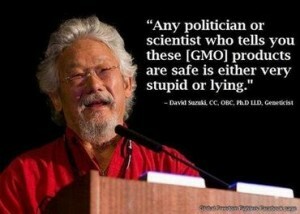 Russia has recently banned the import or sale of Monsanto’s NK603 genetically engineered corn. Italy, with the help of their ministries of agriculture, health and environment, and backed by 80% of the people, has also agreed to ban Monsanto GMO corn. As of a few days ago, Monsanto got so frustrated with its continuing failed attempts that the company has given up on getting their GM crops into Europe. It’s a tremendous tribute to the awareness, organization and relentless courage of the European people, who now will need, unfortunately, to re-direct their initiative because a loophole in European law has allowed Monsanto to refocus its efforts on patenting natural crops like broccoli and green beans. If you want to help with the effort, you can sign the petition called “No Patents on Seeds”. On the Thrive Solutions Hub, where I recommend you go if you feel motivated on this or any other key issue, there are already over 800 self-created groups working on over 125 issues. There are 90 groups working on alternative currencies, 52 taking on fluoride, 64 working against chemtrails, and 87 addressing GMOs and organic farming. To these groups and other individuals, organizations and networks all over the world…we honor you, we appreciate you… We join you in bringing truth, justice and wholeness to each and every area of our partnership with all life. PreviousThe Ron Paul Channel??? It is Here Folks!